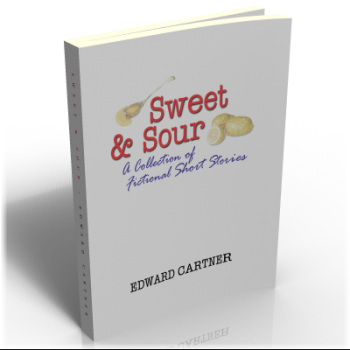 In his fourth book for Woodfield Edward Cartner takes a sideways look at life in this collection of amusing, thought-provoking, and well-crafted short stories. It is said that we begin asking questions at about the age of four and never cease thereafter. So, do we come to wonder how others conduct themselves? Do they know how we live? Do we misconstrue overheard conversation? Why would a woman repeatedly buy goods she had no intention of using? Can a man harbour a grudge for 30 years? Have you seen that old fellow directing traffic? In the face of great peril would we calmly review our life’s achievements? Can a simple box carry a sinister warning from the past? Can a boat have a soul? Friends may accept our behaviour with unspoken sympathy. Others more distant will ask their own stern questions. They may be sweet. They may be sour.